As the iron fist of winter finally begins to loosen its chilling grip, and the last reminiscences of colossal snow banks melt away and disappear into the now thawing earth, we can once more begin to slowly creep out of our wintery cocoon and feel the spring as it emerges around us. As the days get longer and warmer we can once again enjoy going out and exploring and enjoying all the sights and sounds that surround us in and around the city. So where do you go, and what do you do? Well, here is a fun and easy way to shed that cabin fever: get out there and do a little springtime exploring. I recommend that you “head north” dear friend, “head north”. Did you know that 20 miles north of Boston there is a little city that is home to a world-class museum? That city is Salem, Mass. It is here that you will find the Peabody Essex Museum, and it is closer and easier to get to then you may think. 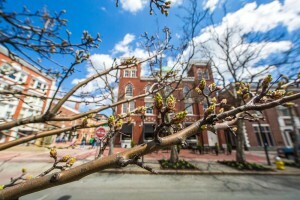 It’s only about a 25 minute train ride from North Station, and once there, it is a very easy to walk to the museum, as well as the rest of the attractions that Salem has to offer. I always enjoy taking a trip to the Peabody Essex Museum or PEM, but now is an especially good time to go. Beyond their regular array of galleries, shows, and exhibits, there is one new exhibit that does a wonderful job in helping to shake off those winter blues. The name of this new exhibit is “California Design 1930-1965 Living in a Modern Way.” What better way to embrace the warmer months that are ahead of us then by sampling a little taste of the west coast lifestyle? As PEM’s website explains, the exhibit features “More than 250 examples of midcentury modern design reveal the distinctive role California had in shaping material culture from 1930-1965. Featuring a diverse array of furniture, textiles, fashion, industrial and graphic design, ceramics, jewelry, metalwork, film and architecture, this exhibition celebrates the innovation and pervasiveness of midcentury modern design. The work of legendary designers such as Charles and Ray Eames, Richard Neutra, and Greta Magnusson Grossman are explored, as is the sociological and geographical context which gave rise to this unprecedented design movement. Organized by the Los Angeles County Museum of Art (LACMA), this exhibition is the first major study of California midcentury modern design.” In addition, the PEM is home to some amazing permanent collections– you can see exhibits that range from maritime art to early Asian cultural art, both of which tie into Salem’s history as an early shipping and trade port. Some of you may already be familiar with Salem: maybe you live on the North Shore, or maybe you have been there for Halloween. But this city has far more to offer than just its ties to the witch trials of the 1600’s. I’m not trying to downplay the historical value of this connection, and by all means if this is a topic of interest to you, you will find Salem steeped in information about it, and many attractions associated with that time. But Salem is so much more than that. If you go there, you will find a place with all the trimmings of a big city, tucked into a small seaside enclave. Regardless of your interests: food, shopping, coffee, libations, art, history, or the smell of the ocean, Salem is a city that is a hidden gem, right there on the North Shore, waiting to be discovered. So, when you make your visit to the Peabody-Essex Museum, you may want to make a day of it. That will give you a chance to take in all the other aspects that the historical and beautiful city of Salem has to offer. If you go during the summer, I would strongly recommend taking the ferry over from Boston– it’s a very scenic ride. 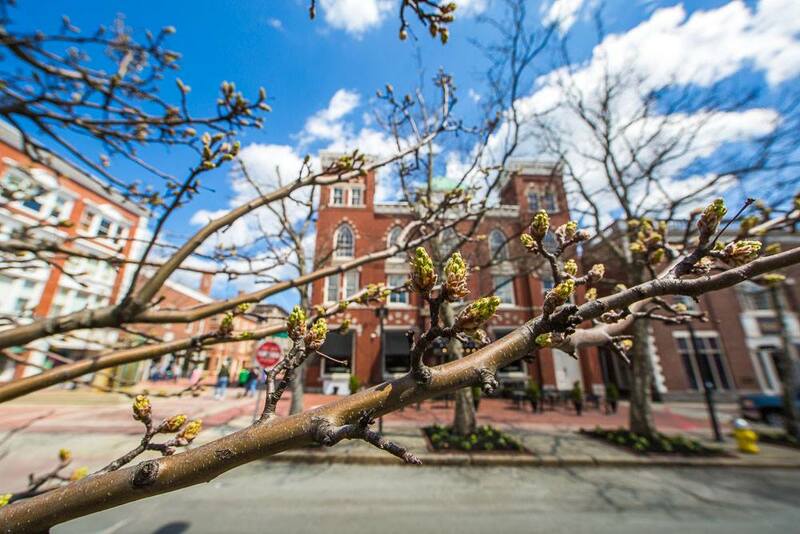 But no matter when you go, a trip to Salem is well worth the time, and it’s a great way to celebrate the arrival of spring!